Today’s recruitment preparation was much like the day before with more workshops and more practice. Yesterday’s picture of walk-outs in progress outside the house begins like this, with line-ups inside the house. A view like this is something I see a lot of as an advisor and it brings back a flood of memories from the dozens of times I’ve seen it practiced and executed. 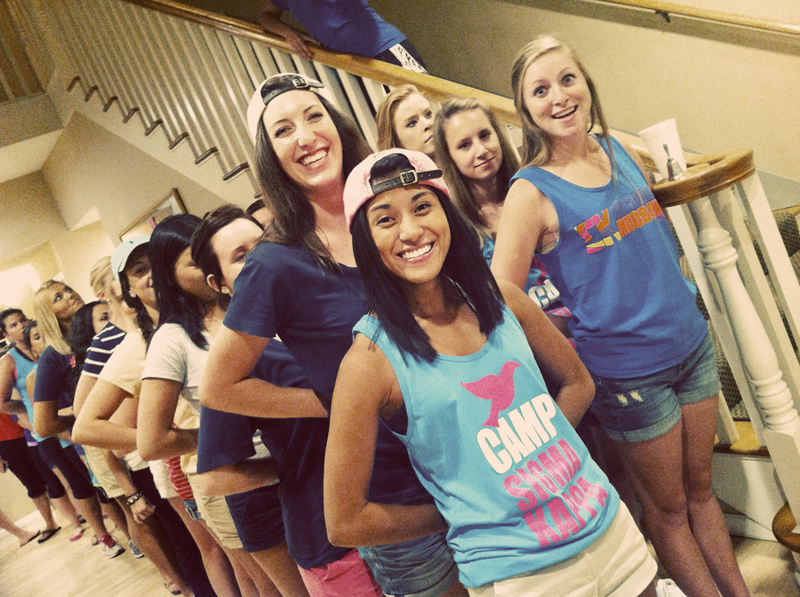 When it’s time to put it to use during formal recruitment, it’s an exciting, intimate, stressful and hopeful time.